After a long, long period of debate and competition, web development finally has the markup and syntax it needs for responsive bitmap images: the <picture> element, together with the srcset and sizes attributes. And, as of today, we have fully implemented support for <picture> in two browsers – Chrome and Firefox – together with an excellent, well-tested polyfill for others. While they work great together, these components are easiest to learn separately; so, in the spirit of my Flexbox for Designers series, I’ll tackle <picture> first, followed by srcset and sizes in subsequent articles. 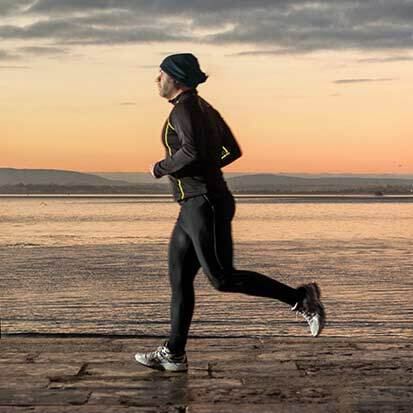 Below a certain viewport size, the runner photograph in the example above looks out of proportion next to body text, with important details lost. Ideally, we want an easy way to use different versions of the image at different viewport widths. The <picture> element is very similar in concept to the <audio> and <video> elements: it is a tag that surrounds alternative media sources. A standard <img> tag is the last required element. It functions as a proxy for the <source> elements to display their content; it also acts as a fallback for browsers that don’t understand <picture> and don’t run the polyfill described below. The alt value of the image acts as a description for the entire set. Source order matters. The inline media query in the <source> element immediately above the smallest square image in the example translates to “the viewport must no wider than 500 pixels before it can display runner-square.jpg”, with wide-aspect photos taking commiseratively greater values. The example takes a mobile-first approach, with runner-square.jpg loaded and displayed by default if the polyfill is not applied. You can see the result of <picture> in the header image for this article: resize the browser to see the art-switching process. That’s it: between the polyfill and native support in Chrome and Firefox, you now have art-directed images in all modern browsers. Note that there is no need to style the <source> elements, as they are set to display: none; by default. The demand for multiple versions of image assets will place more stress on image editors and their tools. While the requirements of srcset and sizes has decent support in Adobe’s recent Generator offering, as well as Sketch, I haven’t found good application support for the new demands of <picture>. For now, creating art-directed alternatives will likely continue to be a process of establishing guides and cropping out different versions of the same image. * While it’s not widely appreciated (and sadly, removed from the spec, at least for now) the <video> element also supported inline media queries. Photograph of António Lopes by Pedro Moura Pinheiro, used under an Attribution-NonCommercial-ShareAlike 2.0 Generic Creative Commons license.